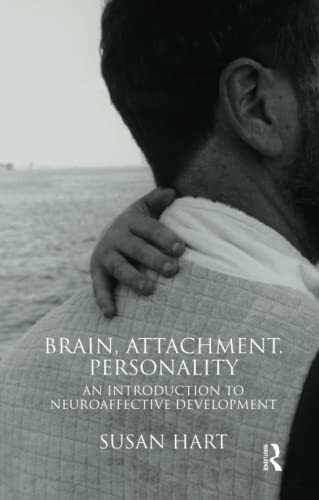 This book is intended as an inspiration and as an introduction to what Susan Hart has called neuroaffective developmental psychology. As an underlying theme throughout the book, she seeks to emphasize the importance of attachment for the formation of personality in all its diversity. This book presents a merger of systems that are not normally brought together in a structured psychodynamic context. Thus it operates on three levels: a neurobiological level, an intrapsychological level, and an interpersonal level. It also focuses on the brain structures that are essential for the formation of relationships, personality development, and emotions. It attempts to provide an understanding of the way that the uniquely human nervous system develops capacities for empathy, mentalization, and reflection that enable us to address such aspects as: past and present, interpersonal relations, ethics, art, and aesthetics. Susan Hart has endeavoured to make the text meaningful and comprehensible in order to make the topic interesting and inspiring to the reader, and to spark an interest in further studies. Susan Hart is a psychologist who has been the director of a municipal family therapy center; her experience also includes work in municipal social services and in a children's psychiatric ward. Today, she has an independent practice and works mainly with professional supervision of psychologists, visiting nurses, and social workers in child and family departments, personnel in child psychiatric wards, and advisers to foster families. She is the author of several books and articles on neuroaffective developmental psychology, and frequently gives lectures and courses on the topic.